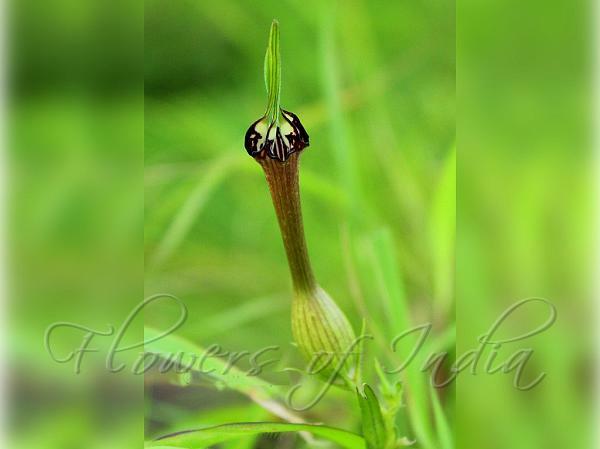 Ralegaon Ceropegia is an upright growing perennial, the stems grow from a subterranean tuber. The very narrow leaves are about 10 cm in length but only 5 mm wide. The flowers are 5.5-10 cm in length. The upper part of the flower is light green, the flower-tube is mottled yellowish brown, the united petals are dark green. The inside of the flower is crimson. 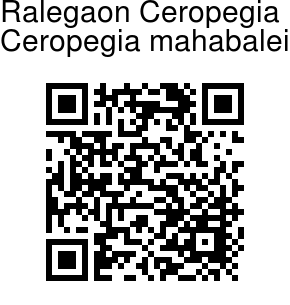 Ralegaon Ceropegia is endemic to Western Ghats. For long it was known only from its type locality, i.e. Ralegaon Hills about 10 km west of Junnar, Pune District, Maharashtra. Identification credit: Avinash Bhagat Photographed in Nashik, Maharashtra.